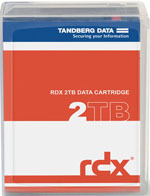 The Overland-Tandberg RDX QuikStor media-based removable storage system offers rugged, reliable and convenient storage for backup, archive, data interchange and disaster recovery. 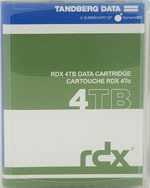 It provides enterprise performance and fast access, with transfer rates up to 330MB/s and is available with up to 5TB per cartridge. (1) USB External 3.0 Docking Station for FREE! 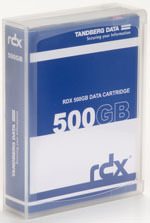 Vast capacities: 500GB, 1TB, 2TB, 3TB, 4TB or 5TB of hard disk capacity or 64, 128, 256 or 512GB of solid-state disk capacity on one cartridge. 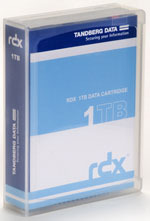 Fast access: Blistering disk-based speed and access, backing up to 162GB/hr and near-instant file retrieval or with SuperSpeed USB 3.0 speed and access, backing up to 650GB/hr. 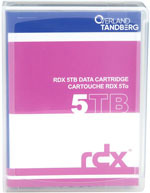 Tandberg Data RDX QuikStor 500GB 10 Pack - (10 x 500GB) Removable Disk Cartridge Part# 8542-RDX. 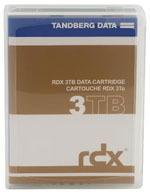 Tandberg RDX 500GB bundle now available at BackupWorks.com contact us for your Tandberg RDX storage needs, like the 8542-RDX 10 Pack bundle of 500GB cart.